As many industry experts and casual observers know, men have largely dominated the CAD industry for many years. This was largely because societal norms denied women access to the education and training necessary for positions in the industry. Thankfully, today’s more modern society has become far more inclusive and as a result, women have more opportunities in the CAD industry than ever before. The industry has also begun to see a significant surge in female-designed architecture, and today we are going to examine three different buildings designed partly or completely by women. 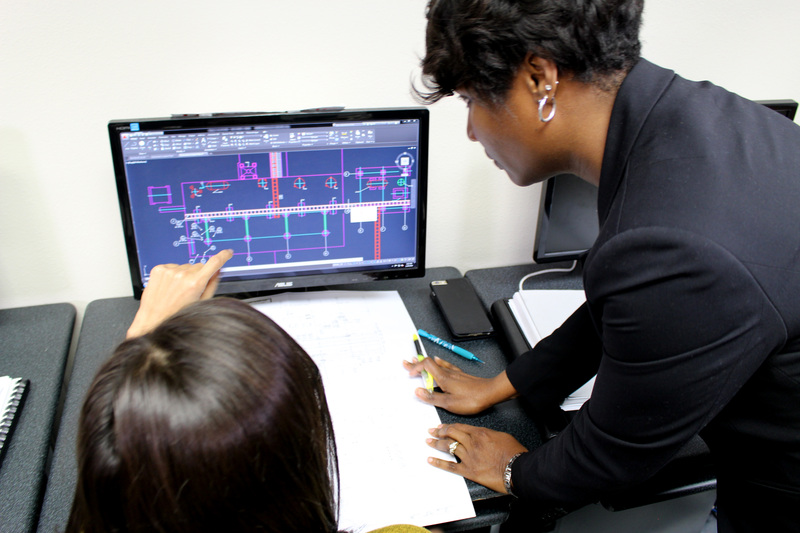 These buildings are great examples of what it means to have women pursuing higher education and employment within the CAD & architectural drafting field. The Chicago skyline has always been one of the most impressive as it features the Sears tower and more, but Jeanne Gang took it to an entirely new level. Her design of the Aqua Tower brought new life to the Chicago skyline, and it incepted what is currently the third tallest building in the world with a woman-lead architect at 859 feet tall. The building is used as a residential and office structure which might sound typical, but a look at the exterior will tell you it is anything but typical. True to the name given to it by the creator, the Aqua tower takes on the appearance of waves which surround the building and give it a more fluid aesthetic. This building was not solely designed by a woman, but it was designed by a husband and wife team: Robert Venturi and Denise Scott Brown. The house was completed in 1969 and is often referred to as an extraordinary place. It is a very small piece of architecture, but it uses the environment around it and unusual architecture to ensure that it is not only visible but highly memorable. There are a lot of memorials for the Vietnam war around the United States, but when someone mentions the words ‘Vietnam Veterans Memorial,’ one structure typically comes to mind. This structure is the Vietnam Veterans Memorial erected in Washington DC. Maya Lin originally created the memorial in 1982 and was awarded the Presidential Medal of Freedom in 2016 by President Barack Obama. While this is the highest award a civilian can receive, it is easily outshined by the significance and sheer beauty of the monument itself. Maya Lin also built the Riggio-Lynch Chapel in Tennessee, and it is certain that she will continue to create amazing structures for many years to come. From all of this, casual observers and industry experts alike can ascertain that women have a strong future in the CAD industry and that women will continue to accomplish amazing feats within the industry for the foreseeable future. If you are a woman, and if you would like to see yourself in one of these positions, you need only apply yourself and get the education you need to start moving forward. Pursuing a career in the CAD industry means making sure that you get the right education and training to be successful in the industry both personally and professionally. The process of seeking out this education and training does not need to be overly complicated either. In a relatively short time, you could be the next person on this list, and you may design the next huge skyscraper in one of the most famous cities in the world. 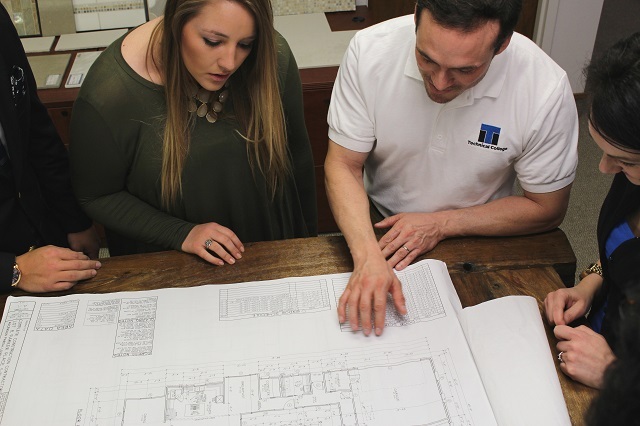 If you are ready for more information and if you are ready to advance your career in the drafting industry, then it is time for you to give us a call, sign up for courses, and get your future underway. The industry needs more women right now, and it could be waiting for you to enroll in CAD school. Is CAD a Good Career Choice for your Future? When you are choosing a career to embark on for an extended period of your life, you tend to have your work cut out for you. It is critical that you not only choose an industry you like but one that you can achieve great things in. Picking a career is not like filling out an application for your first job. As you know, many people do not have positive experiences at their first job, and they often move from job to job without much regard for their overall career path. Choosing a career is an entirely different matter and attending a school of drafting and design can help you to move toward the satisfaction that you have been looking for in a career. What Can You Do After Attending a School of Drafting and Design? Drafting is not new; it has been around for centuries, and you can see proof of it in the ruins from ancient human civilizations. More recent examples of drafting triumphs would be the Sistine Chapel in Italy, or perhaps even the Dome of the Rock. All buildings, regardless of the period they were built in, required some type of drafting and precise specifications to ensure they were built properly. Drafting today is a completely different matter than it was many years ago, due largely to the advent and implementation of various technologies. Today’s drafters still must possess a degree of artistic talent to be successful in this field. You are not simply designing a building and moving on to the next project; you are creating something that will have your name attached to it. There is a chance that no one will remember your name in a hundred years, but it is very possible that your building will remain. To have your name associated with this type of project is an incredible feeling. Computer Aided Drafting is new in this industry and it has revolutionized the way we carry things out. Now that drafting can be done from a computer or tablet in virtually any location, it is crucial that drafting students to learn the software and keep up to date with any changes. CAD has many benefits over the hand drawings of old. For example, errors can be corrected in seconds rather than the days it would have normally taken to send the blueprints back to the drafter awaiting a replacement. Computers have changed the world, and they have made drafting a much safer art than it was in the past. Your drafting education needs to be obtained from an accredited institution, and yes, you will need to make sure that you have basic computer skills before you attempt it. Most importantly, if you are to succeed in this field then you will need to keep all your knowledge up to date as both technology and drafting methods move forward into the 21st century. In addition to that, you will need to decide which drafting discipline you wish to learn so that you can better move forward with your career. 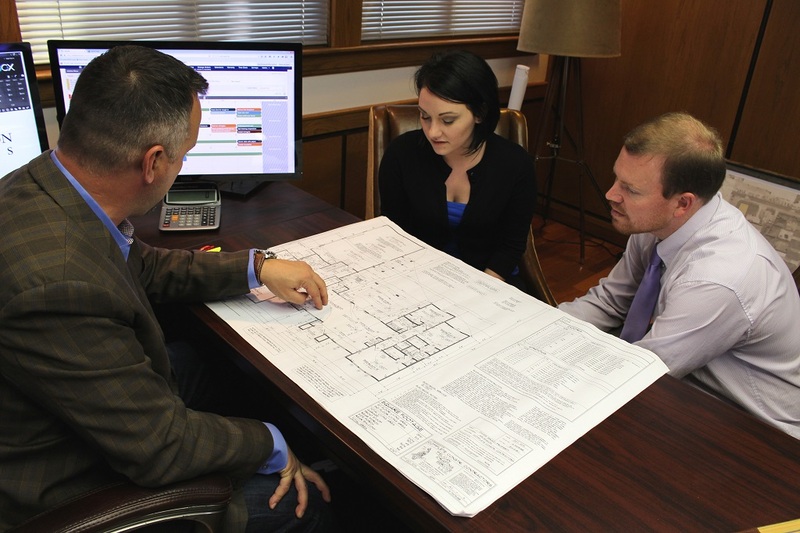 Before you can earn any drafting and design certifications, you will need to complete the right drafting education. Getting started is simple; it all starts with giving us a call and seeing just what ITI Technical College has to offer you in terms of both education and practical experience. 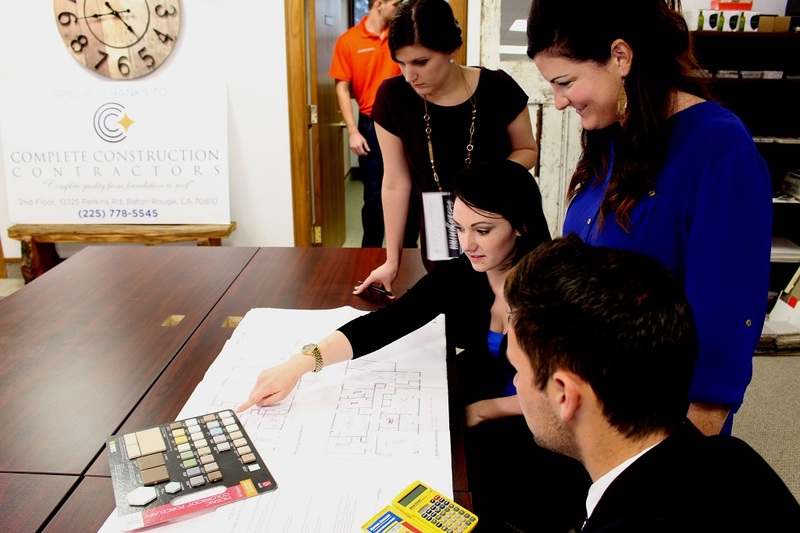 We employ passionate, qualified instructors to teach in state-of-the-art classrooms that allow you to get your hands on the modern equipment that is used in the drafting industry today. Financial Aid is also available to those who qualify. With the right education and the right practical experience, you will be ready to enter the industry almost immediately. It will not be long before you are ready to launch your brand-new drafting career in an environment of your choosing. Comments Off on Is CAD a Good Career Choice for your Future? Interior spaces are a very important part of any home but one of the rising trends that we have seen as of late is the exterior living space. We are finally seeing homeowners spending more time outside and it will not be long before this becomes all too common. For those who wish to attend a school of drafting and design, this means learning to create entirely new spaces for those who consider themselves to be more outdoor oriented. So, before we start talking about the different space possibilities we are going to ask a very important question: what is an outdoor living space? What is an Outdoor Living Space? Outdoor living spaces go far beyond simple patios and decks. Instead of basic spots, you will have areas which boast kitchen implements, workspaces, recharging stations, computers, pantries, and much more. The market has been seeing a rise in demand for outdoor living spaces as of late and it will only increase from here. Originally the outdoor living space was used as an extension to the kitchen but now you can add a fireplace, garden, and virtually anything else that one could think of. In this article, we are going to discuss a few of the potential outdoor living spaces that you might design for clients once you finish a drafting school program. Add a kitchen sink and you have everything you need to entertain guests and take your meals outdoors. As a designer you may be tasked with building one of these spaces, so make sure you are ready! Living rooms are for lounging but lounging can take place outside of the home. You can create space for seating outdoors, adding built-in benches, a fixed coffee table from brick or wood, and much more. To put it as simply as possible, clients will ask for things that might have been considered completely impossible twenty years ago, but today’s top designers can make them possible! Waterproof televisions and other appliances can make for truly extraordinary outdoor spaces. Finally, outdoor fireplaces are extremely popular and make an outstanding conversation piece. The last item that we will talk about is the pool/spa area which is not a new implementation. What is new however is the desire to add more natural elements such a waterfall or a stone floor to the pool. From lighting all the way to the placement of elements, even the best designers have their work cut out for them. You will need to obtain a certain set of sills from an architectural drafting program to really jump into this career and to move forward with your life. ITI Technical College’s Associate of Occupational Studies (AOS) degree in Drafting and Design Technology will provide you with the skills to excel in this field. If you feel that a CAD career is right for you, then now would be a great time to contact ITI Technical College and get yourself enrolled in one of our programs. It will not be too long before you are performing at your dream job, designing and creating homes that will not only impress, but that will last a lifetime.